A great slide for all age groups! One of our biggest units through and through. You will enjoy the double lane, as it encourages fun competitive racing. This unit destroys the logic "dry slides aren't any fun". 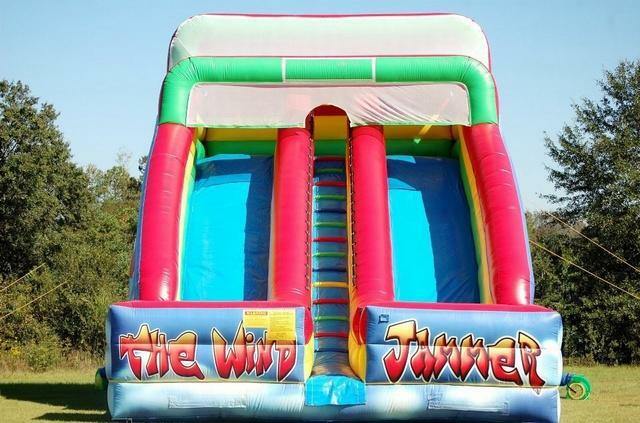 For a fun filled great time book the Windjammer for your event or party!